2 Human Monkeys on Mars mission in 2018? – Dr. Turi M.D.U.S. 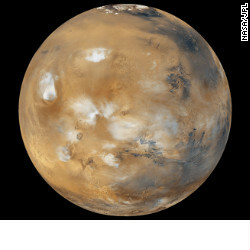 If a private group’s newly unveiled plans pan out, a man and a woman may represent humanity on a journey that has never been attempted: a mission to Mars. Will you be the Two New Mars’ Monkeys? Previous post: Is God Really Asleep?